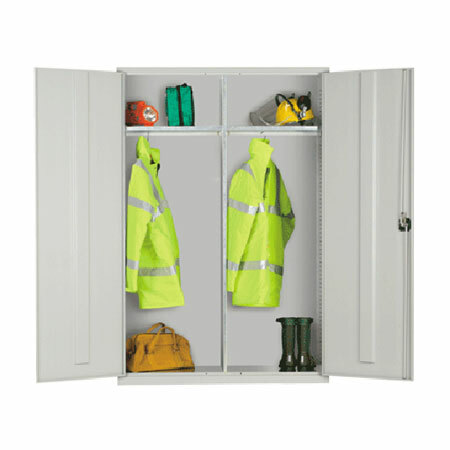 New range of extra wide cupboards to complement an existing comprehensive choice of cupboards in various sizes and internal configurations. 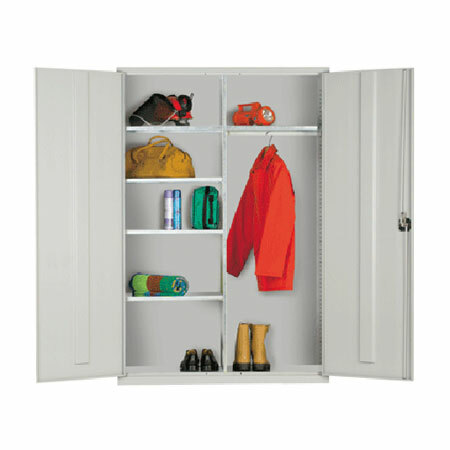 These high volume cupboards are 1220mm wide to give greater flexibility. 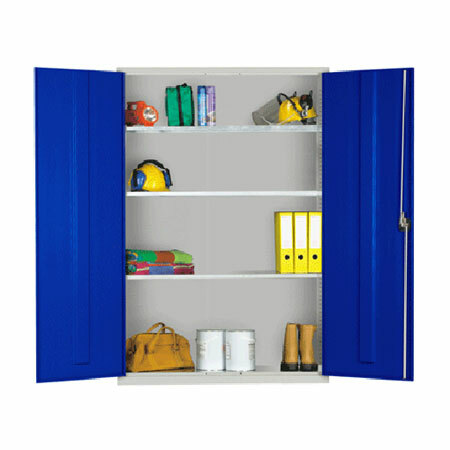 All cupboards are 1830h x 457d mm. - Welded frame construction for extra strength and rigidity. 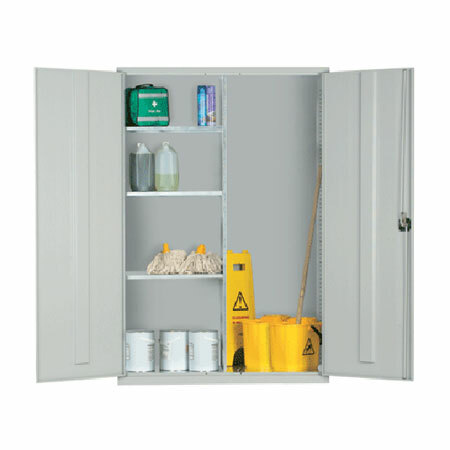 - Shelf loading 70kg with a uniformly distributed load. Available in - GREEN, DARK BLUE, PASTEL BLUE, RED, YELLOW, MAROON, GREY.